The Euros have Arsenal written all over it with the Gunners making waves with their national teams. 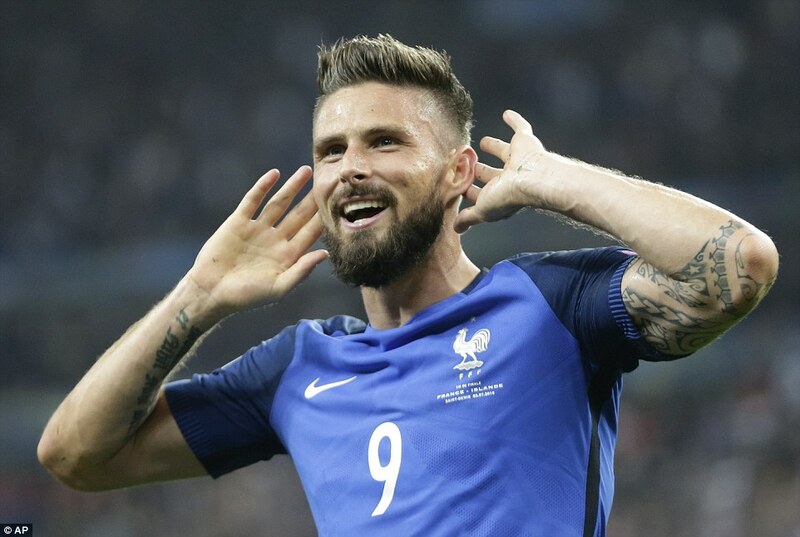 The last match of the EURO 2016 quarter final came to an end tonight in Saint Denis with Arsenal striker, Olivier Giroud, grabbing a brace in France’s 5-2 victory over fairy-tale Iceland. Giroud opened the flood fates and scored the 5th goal for France just before he has subbed off. This has been a good tournament for Giroud and Koscielny. They were both subbed off when it was evident that there will be no miracles for Iceland to turn around 5 goals within 30 minutes. They will now face Germany in the Semi finals. Ozil was in superb form on Saturday night as Germany eliminated Italy via penalty shootouts. The Arsenal play maker scored what seemed to be the winner in the 65th minute but Boateng had a moment he would hope to forget – gifting Italy an equalizing penalty. Ozil missed his penalty kick but Germany scaled through after numerous missed and funny kicks. Friday was Ramsey’s night. He grabbed two assists for Wales as they saw off Belgium – the topmost ranked team at the Euros. The Welsh Jesus will miss the semifinal against Portugal after collecting a second consecutive yellow card. Four Gunners in the semifinals, who will progress to the final? Congratulations to Iceland. They have done well. Till tomorrow, we have news from Japan.